CG PET 2019 Application Form can be filled till 7th April 2019. 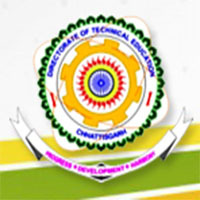 CG Pre-Engineering Test is organized by the Chhattisgarh Professional Examination Board (CPEB). It is a state level entrance exam to get admission in engineering, dairy technology and agriculture engineering courses. Candidates can get admission in various governments/private institutions of Chhattisgarh state through this exam. In this article, candidates can access the detailed information on CG PET 2019 application form. CG PET 2019 Application Form can be filled till 7th April 2019. Click here to apply. Candidates can do all the activities related to the application form through online mode. No other mode will be entertained in this regard. The CG PET 2019 application form has been started from 19th March 2019. Candidates can fill and submit the application form till 7th April 2019. Candidates can also check their application status and transaction status after the successful completion of it. Candidates should verify all the filled-in details before final submission of the application form. No correction will be allowed later on. Candidates have to upload photograph (3.5cm X 4.5cm), signature, name and left hand thumb impression in JPEG format of size between 50kb to 40kb. Candidates are advised to take the printout of the application form on final submission. The application fee for general category is Rs. 200/-, for OBC Rs. 150/- and for SC/ST/PH Rs. 100/-. The application can be submitted through online mode. Candidates can use net banking/credit card/debit card to submit the online fee. Here, we have given the eligibility criteria to appear in all the courses offered through CG PET 2019 entrance exam. Domicile Eligibility: Applying candidate must have the domicile of Chhattisgarh state. Age Limit: For agriculture engineering, the minimum age is 16 years as on 31st December of the admission year and 17 years for dairy technology. For Engineering: Should pass 12th from Chhattisgarh board or equivalent board with Physics, Mathematics, Chemistry and one of the technical vocational subjects with minimum 45% marks (for SC/ST/OBC/PH 40%). For Agriculture Engineering: One should pass 10+2 from CG or equivalent board with physics, chemistry, mathematics and English securing 50% marks in PCM & English in Intermediate and (40% for SC/ST/OBC). For Dairy Technology: Must qualify the 12th or equivalent from Chhattisgarh board or any equivalent board with Mathematics, Physics, Chemistry and English securing 50% marks in PCM and English together for General category and 40% for reserve category. Check the exam dates for various activities related to the CG PET application form 2019. Click on ‘Application Form’ link. After that you have to click on ‘CG PET Online Application Form’ link’. Enter the details link, citizenship, exam applied for, candidate’s name, father’s name, mother’s name, date of birth, and other required details. Download the image format and paste the photo, signature, name and left hand thumb impression to upload. Click on ‘Browse’ button, select the file and click on ‘Upload’. After that fill all other details required in the application form. Read the declaration and tick on ‘I Agree’ box. After that click on ‘submit’ button and read all entered details one more time before click on ‘Please conform’ button. Now, proceed to pay the application fee. Select the ‘Pay’ tab and select the payment mode to submit the fee. Enter the fee details and after successful transaction check the transaction status. If you have any other queries about CG PET Application Form 2019, you can write your queries in the comment box given below. You can apply but you will not be eligible for Chhattisgarh state quota seats. I am polytechnic student. can I apply this exam form ? the payment has done then after the server started showing server-down and now, i dont have my application printed page. What i supposed to do in this situation! Login and then try again. I m not able to submit the form.While submitting it is coming back to application page.Any solution?? Try again. There might be server issues. Can we write this exam online mode from any other states? I am e resident of jharkhand. Can I apply for this exam?? CGPET requires candidate to be Domicile of Chattisgarh state. Are there any State level enterance exams which are open to other state candidates?